Image: Radionphoto/Getty Images. Design: Kenzie Mastroe/SheKnows. What’s the best meal on a cool winter day? Pizza! The warm, gooey dish is delicious, decadent and can be delivered right to your door, meaning you can enjoy your pizza — and carb-induced coma — from the comfort of your couch. And you’ll definitely want to order a pie on Saturday, Feb. 9, because it’s National Pizza Day, and the deals abound. Here are a few places where you can score a free or deeply discounted pie. 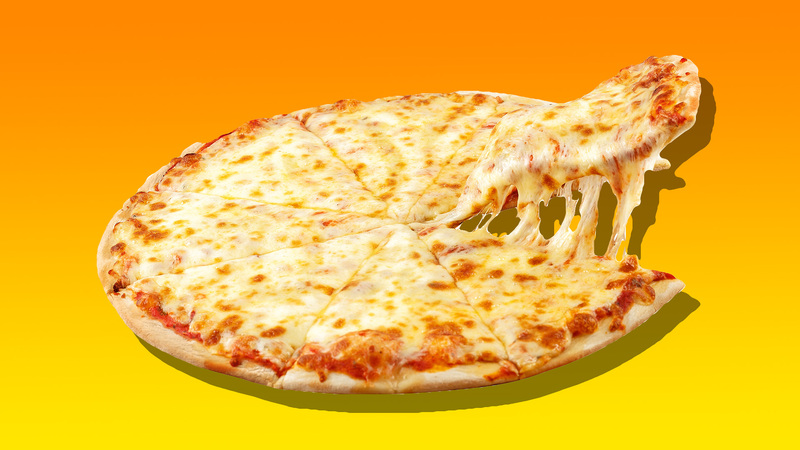 Every kid’s favorite pizza joint, Chuck E. Cheese’s, will be upgrading large pizzas to extra large for free. Simply show a coupon at the register or ask for the National Pizza Day deal between Feb. 4 and 9. As part of Domino’s weeklong promotion, you can score a large three-topping pizza or pan pizza for just $7.99. However, you must order online and pick it up at the store. While IHOP may seem like an odd addition to this list, the pancake purveyors launched a brand-new pancake pizza dubbed the Pancizza in honor of the holiday. The Pancizza is available in three flavors — buttermilk, bacon and cheddar and cupcake — and each “pie” will be $4.99. Papa John’s is selling their large specialty pies for just $12, including the works, the meats and their latest addition, the Philly cheesesteak pizza. In honor of National Pizza Day, Pilot Flying J is offering one free slice of pizza to guests who download or open the Pilot Flying J app between Feb. 3 and 10. And bonus: First-time app users will also score a free drink. Pizza Hut is helping you feed the whole family: all large carryout pizzas will be $10.99 Feb. 7 through 17. To redeem this offer, simply use the promo code “THANKYOU” at checkout. When we think of Pizza Day deals, we mostly think of the big names above, but frozen pizza brand Red Baron is getting in on the celebration. From Feb. 7 through 9, Red Baron will be giving away free pizzas on their Facebook and Instagram pages. For your chance to win, post a photo alongside a thank you note to pizza on your social media channels and share how Red Baron pizza helps solve your family’s dinnertime chaos. Posts must tag @RedBaronPizza and use the hashtag #ThankYouPizza to qualify. All entries will get a coupon code for $1 off two pizzas, but one lucky fan will receive a year’s worth of Red Baron. Slice is using National Pizza Day to promote a great cause. The local delivery service is launching Pizza for Change, a program designed to combat hunger in the U.S. Slice will donate one pizza for every pizza ordered through the app on Feb. 9. No codes or coupons necessary.